The International Monetary Fund (IMF) released new proposals for preventing predatory hedge funds and hold-out investors from blocking debt restructurings. The paper proposes a series of reforms to debt contracts, including strengthened collective action clauses and a modification of the pari passu clause that hold-out hedge funds used to sue Argentina. 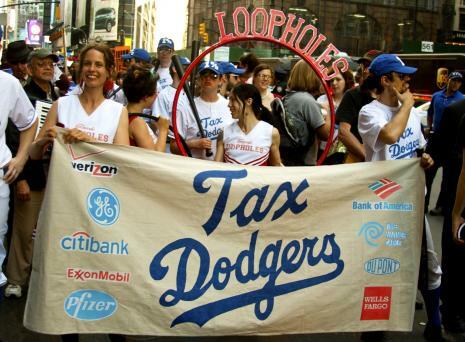 The International Monetary Fund (IMF) released a staff paper noting that corporate tax avoidance negatively impacts all economies, but hurts developing countries the most. The IMF’s release comes as the G20, the Organization for Economic Cooperation and Development and United Nations bodies seek vehicles to diminish corporate tax avoidance. Thanks to Jubilee USA for this information. 190 policy experts, business and academic leaders, and former Senate-confirmed appointees who had oversight responsibilities for organizations like the International Monetary Fund (IMF) and World Bank yesterday delivered a unified message to Congress: promptly enact IMF quota reform legislation. Fr. Seamus Finn, OMI signed the letter on behalf of the Missionary Oblates of Mary Immaculate. The Oblates have long supported New Rules for Global Finance, which works for fundamental reforms at the IMF. The broad-based bipartisan letter to Speaker Boehner and Majority Leader Reid comes at a time when Congress is considering a $1 billion bilateral emergency assistance package for Ukraine to help the country stabilize its economy during its crisis with Russia. Senate Foreign Relations Committee Chairman Robert Menendez (D-NJ) and Ranking Member Bob Corker (R-TN) displayed the foresight and joint leadership to respond strongly to the Ukraine crisis by introducing the Ukraine relief bill, which includes the IMF quota reform legislation. Ukraine is also seeking IMF assistance directly. Treasury Under Secretaries Tim Adams, David McCormick, David Mulford, and Jeffrey Shafer, and five IMF Executive Directors that served under Republican Administrations, among other former senior government officials, support the IMF reform legislation. “The IMF has played a crucial role in the global approach to recent financial crises and in navigating the world economy through severe threats. While the United States is on a path to recovery, threats remain…and the IMF has been called upon to support reform in Ukraine. 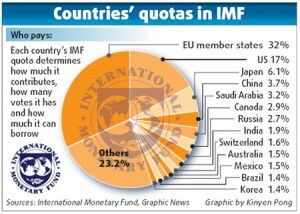 In times like these, a financially strengthened and reformed IMF is in the U.S. interest,” notes the letter. The International Monetary Fund Executive Board has approved the final 2.7 billion dollars from recent gold sale profits to support the world’s poorest. The total gold sales windfall has now reached nearly 4 billion dollars to benefit the most vulnerable. One of the most powerful institutions in the world decided the right way because ordinary people cared – and acted. At first, the IMF barely acknowledged the profit and assumed it could remain in their general reserves. Word leaked out about possible major renovations of the IMF office space in Washington, DC. 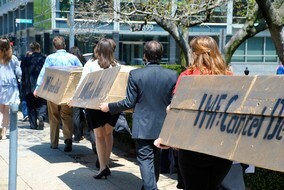 In response, Jubilee USA, of which the Oblates are a member, delivered tens of thousands of petitions and organized 60 global partners to push the IMF towards debt relief. At the end of February 2012, the IMF Board made a decision on the first distribution of 1.1 billion dollars after Jubilee, the ONE Campaign, ActionAid and Oxfam International met with the IMF staff. 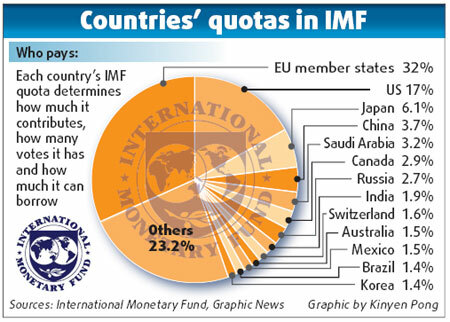 These efforts pushed the IMF to approve the first 1.1 billion dollar distribution AND the second 2.7 billion dollar distribution to support concessional lending in the Poverty Reduction and Growth Trust (PRGT) and extend a 0% interest rate that will make this trust available for future generations beyond 2014. While many of us have concerns about IMF lending, this 0% extension on existing loans will mean real relief for millions of people and translate into direct support for low-income countries. Under pressure, the IMF has changed its US$100 million loan to a grant. Dominique Strauss Kahn, the head of the IMF, has called for a major multilateral aid plan to rebuild the shattered Caribbean island of Haiti where the rescuers are still struggling to save lives after last week’s devastating earthquake. On September 8, 2009, representatives from civil society organizations (CSOs) met with the IMF Executive Board in an informal seminar at Fund Headquarters to discuss CSO recommendations on IMF governance reform. New Rules for Global Finance is coordinating the consultations, known as the Fourth Pillar Process. The Missionary Oblates, an active member of New Rules, was represented at the meeting by Seamus Finn, OMI.